Getting into the business young can be good or bad – it depends on your experience as a youth and what you do with it. Today’s artist released her first album at 15 and took on a career of songwriting at 17. She got her major artist breakthrough in mid-2014 and is one of the hottest pop acts going right now. 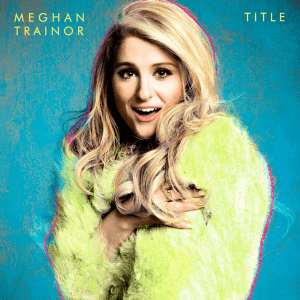 Meghan Trainor was born in December of 1993 in Nantucket, Massachusetts. Her parents owned a jewelry store and she had two brothers, one younger and one older. Trainor got her start at age 6, singing in the church choir. At age 11 she began writing, and created her own arrangement to a classic gospel song. Music was in her blood – her father played organ, great-uncle was in a well-known R&B band and her Trinidadian aunt and uncle are Caribbean music performers. Meghan began dabbling in instruments, learning piano, guitar and drums. By 13 she put it all together composing and recording her very first track. Going into high school, she began attending songwriting conferences really learning her craft. She used a studio app for her MacBook to record and produce – even releasing three records, winning a couple awards across the country. After spending some time songwriting for Nashville-based Big Yellow Dog Music, a trip around the U.S. doing background vocals and demos for other artists changed everything. She rekindled her love of singing, and co-wrote a track called “All About That Bass” in 2014. After playing the song on ukulele for industry pioneer L.A. Reid, the track was released on single with an accompanying video – it went viral and become one of the best-selling singles of all time, with over 11 million units worldwide. That popularity led to Sony Music releasing the album Title in January of 2015. While technically not her first album, Sony purchased the rest of her catalog and released them as EP’s, so this is now technically her debut record. It debuted in the Top 200 of the Billboard charts and has sold over 2 million copies worldwide in just over a year. Meghan and this album cover so many different styles, it’s hard to not find something to enjoy. If you like pop music, this album will most certainly be in your wheelhouse, but if R&B, old school doo-wop or soul are genres you enjoy, you’ll find a couple songs for you too. It’s a throwback album, and her artistry is similar to maybe a Bruno Mars or other contemporary artists that seem to want to take you back to a different time. Her writing is obviously on point, and I think if she wants to go back to that life, she can swing right back into it with little hesitation. If I have one criticism of the album, the catchy hooks of the album tend to get a bit redundant – but that happens when you make such an upbeat album. It’s not one that I would flip on every day, but it’s a nice change of pace album if you’re used to listening to slower paced music. Trainor is working on her second album, due out this year. I think it’ll be hard to top the instant power Title has – and that alone makes it worth your $5 bucks.